What information is needed to substantiate a casualty loss? To substantiate your loss, you’ll need the following, the type of casualty and date it occurred, proof that you were the owner of the property, or if you were a lessee, that you were contractually liable for the damage, whether a claim for reimbursement exists for which there is a reasonable expectation of recovery and documented evidence to support the claimed loss. How do I document the loss of real estate? To document the loss of real estate take photographs to establish the extent of the damage – before and after photos work best. You should also contact the title company, or bank that handled the purchase to get copies of escrow papers in case those were destroyed. To establish value, you can start with your property tax statement to review the allocation of land versus building. Since in most cases only the building will have been destroyed, part of your basis and value will need to be allocated between the two components. Most counties have the property tax statements available online, if you find yours is not available then contact the assessor’s office. You’ll next want to check with local appraisers or real estate agents to get a list of comparable sales to determine the fair market value within the same neighborhood. If you have a custom home or had done significant improvements, you may want to contact contractors that you used to assist in providing records. You may also need to get accounts and photos from family and friends to assist in substantiating the improvements. Most insurance policies will list a value for the building to establish a base figure for replacement value which can be used as your starting point in estimating reimbursement. 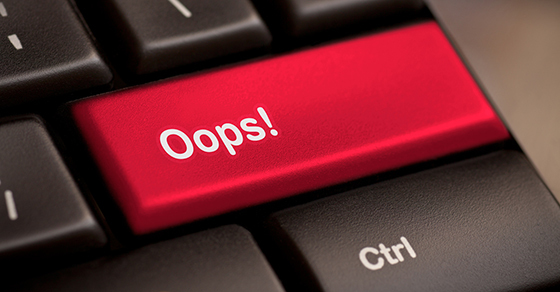 How do I document the loss of personal property? First, you should create a diagram or floor plan of the property to help identify where furniture was placed, including bookcases where pictures were located and shelves that included personal items. Using this diagram create a spreadsheet of personal property per room. As best you can, reconstruct from any original invoices you may have or old sales catalogs the cost, and fair market value of the property can be gathered from local thrift stores, newspapers and the library. Try to gather any photographs that you may have of electronics, appliances, clothing, jewelry, etc that was lost to assist in the proof of ownership. How do I document the loss of vehicles? For vehicles, you can contact the dealer or lender for a copy of the original contract to establish proof of ownership, if you are unable to do that, then you can try and reconstruct through DMV records, or look through past periodicals for auto listing of a similar type of vehicle during the time purchased. You can establish fair market value using a variety of online services including Kelly Blue Book. You’ll also need something to support mileage, which plays into present value, consider contacting your dealer or repair shop that you visited last to get that information. How do I document the loss of business property? For business property, much of the same should be done as with personal property. A diagram of the business location is recommended, which should include all locations of furnishings, equipment, and inventory. Similarly, create a spreadsheet listing personal property using the diagram as your guide. To establish inventory losses, copies of invoices from suppliers are helpful (consider getting 12 months worth). Also be sure to review your tax depreciation schedules and business property tax statements to assist you in developing a list of assets. If you purchased an existing business, contact the broker and get a copy of the purchase agreement which should list assets purchased. If the building was constructed contact the contractor for plans, or the city/county planning commissions for copies of plans. How do I calculate my loss? You’ll need to use the information you have gathered regarding cost and fair value for this. For items that are completely destroyed, your loss is the decrease in fair market value less any insurance or other reimbursement you receive to replace the lost or destroyed property. If you don’t have a complete loss, you’ll need to reduce the lesser of your adjusted basis or decrease in fair market value by any insurance reimbursement. Presently personal losses are further reduced by $100 each and 10% of your AGI (Adjusted Gross Income). There are no deduction limitations on business owned property. We recommend you consult your tax advisor for assistance in determining any deductible loss. You car was destroyed by the fire in Santa Rosa in October 2017. You had bought the car for $30,000. The FMV of the car just before the fire was $17,500. Its FMV just after the fire was $180 (scrap value). Your insurance company reimbursed you $16,000. Your casualty loss deduction is zero, figured as follows. Are disaster relief payments for living expenses includable in income? 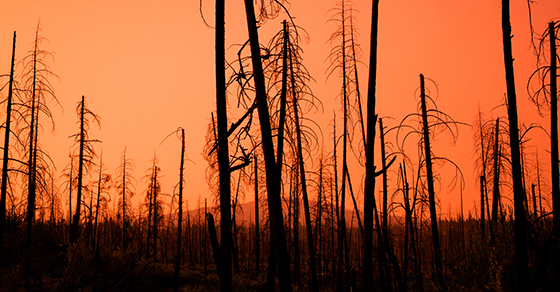 Due to the designation of a federally declared disaster area for the California wildfires, reimbursements received are generally not included as income, however any losses covered by reimbursements can not be taken as a casualty loss. The payment may be considered taxable if you are getting compensation to assist for the same expenses elsewhere, or if the payments are considered to reimburse unreasonable living expenses. Are FEMA mitigation payments includable in taxable income? FEMA mitigation payments are not included in taxable income, but are considered a reimbursement for the purposes of calculating your casualty loss. Can I have a gain on my personal casualty? 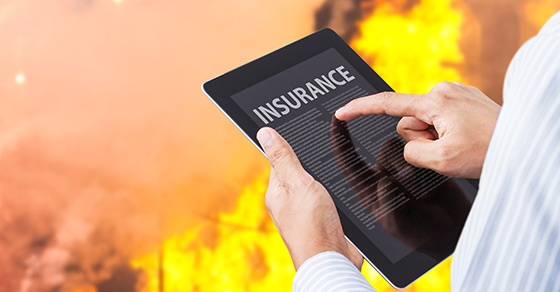 There is no gain recognized on any insurance proceeds received for “unscheduled” personal property that was part of the contents of a main home. It is possible to have a gain if you receive reimbursements in excess of the adjusted basis of your damaged or destroyed business property (but the gain may be deferred). If a gain on casualty results from proceeds in excess of basis on my residence, is that taxable? Under this scenario, you treat the reimbursements as sale proceeds, under which case you may qualify for a gain exclusion if this was your personal residence for 2 out of the last 5 years, and in the last 2 years you had not excluded gain. If after this calculation you still have gain, you may be able to further defer if you reinvest the funds in the next four years in another residence or in rebuilding your damaged residence. Taxpayer purchased a home two years ago for $500,000 and resided in the home for two years before it was destroyed by fire. Insurance proceeds of $550,000 is received. Tax payers in this scenario can exclude $250,000 ($500,000 if married) of gain from income. As such, the $50,000 gain is eligible for tax exclusion. Assume the same as A except insurance proceeds are $900,000 and the taxpayer is single. $250,000 of the $400,000 gain is eligible for exclusion under the gain on personal residence rules. The remaining $150,000 gain can be deferred due to involuntary conversion rules. Taxpayer has four years to reinvest in a residence and the tax basis of the new residence would be reduced by $150,000 to reflect the deferred gain from the involuntary conversion. For example, if they purchased a new residence for $650,000, their tax basis in the new residence would be $500,000 ($650K less the $150K deferred gain). Can I have a gain from a business casualty? It is possible, however you have four years to reinvest in property similar or related in service or use to the damaged property to defer the gain. Taxpayer owns a wine processing facility with an adjusted tax basis of $1,000,000 that is destroyed by the fires. Insurance proceeds of $1,200,000 are received by the taxpayer. Taxpayer has four years to reinvest the $1,200,000 and defer the $200,000 gain (Proceeds of $1,200,000 less basis of $1,000,000). Taxpayer buys a wine processing facility across town for $2,000,000 within four years of the fire. Tax basis of the new facility is $1,800,000 (rather than $2M) to reflect the $200,000 deferred gain. What happens if my actual reimbursements are different than what I had estimated on my tax return? Due to taking a loss on either a 2016 amended return or a 2017 return, you may only be using an estimate of reimbursements from your insurance company. At the time when you can reasonably estimate that no further reimbursements will be received you will either have income to recognize (for under estimating your reimbursement) or an additional casualty loss to deduct (for overestimating your reimbursements). This means that if you continue to receive insurance reimbursements through 2018 or 2019, you may have an adjustment on your 2018 or 2019 tax return, based on what you originally reported on either your 2016 amended or 2017 return. Can a casualty loss create a Net Operating Loss (NOL)? Yes, and NOL’s created from casualty losses can be carried back for up to three years. Your tax advisor will review the rules related to NOL’s and if a carry back would be beneficial to your situation. In what taxable year, should I claim my loss? Generally, losses can only be deducted in the year in which the loss occurs. For losses that occurred in a federally declared disaster area, you can elect to take the loss on an original or amended return for the year preceding the year of loss. For 2017 losses, you have until October 15, 2018 to elect if you would like to claim the loss on an amended or original 2016 return or simply claim the loss on your 2017 return. If for some reason you would like to revoke this election, then you have 90 days to revoke the election, any refund received must be returned within 30 days. If I’m unemployed due to the disasters, are unemployment payments taxable? Yes, unemployment will still be reported as taxable income on your Federal return. Who is considered an affected tax payer that can qualify for relief from the IRS related to extended filing deadlines? A taxpayer is considered “affected” if the taxpayer resides in the disaster area, the taxpayer’s principal place of business is located in the affected area, any relief worker affiliated with a government or philanthropic organization assisting the victims, and any taxpayer whom has records necessary to meet a filing deadline in the relief period which are located in the disaster area. I’m not located in a disaster area, but my CPA is. Do I still qualify for extended deadlines under disaster relief? Yes, since your records are located in a disaster area, you would qualify for this relief. Your CPA should file this request on your behalf, if you receive a penalty notice, please provide to your CPA and we will get it abated. How can I get copies of prior tax returns? First, contact your CPA as they should have records to provide. If you need to get copies directly from the IRS, then complete Form 4506. The fee will be waived for counties located in the Presidentially Declared Disaster Area. Simply write, in red at the top of the Form 4506, the disaster title. Are “Go Fund Me” donations deductible? Since these funds are given directly to individuals and not an IRS approved 501(c)(3) organization, donors cannot deduct donations made as charitable contributions. I have more questions, who should I contact? 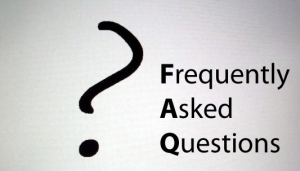 The information provided in this FAQ is simply an overview, to further discuss examples or if you have questions regarding your particular situation, please contact you CPA at Linkenheimer LLP. If you are new to Linkenheimer, simply call our office and you will be directed to someone who can assist you. My home was not destroyed by the fire, but is located in close proximately to an area destroyed. My realtor thinks the value of my home decreased $100,000 as result of the nearby destruction. Do I have a casualty loss? Probably not, since the decrease in value is likely temporary (until the surrounding neighborhood is rebuilt) and the house not physically damaged. However, if the taxpayer could prove permanent buyer resistance that results in a loss in property value, the taxpayer could take a casualty loss deduction. 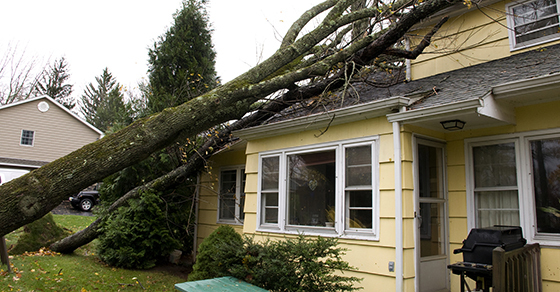 Is there any current property tax relief available for damaged or destroyed homes? Yes, you can request a property value reassessment within 12 months of the calamity/fire and file a property tax deferral claim which will grant additional time to pay the next property tax installment. If replacement property exceed 120% of the value of the damaged property (before the fire), the amount over 120% shall be added to the base year value of the property destroyed. Replacement property must be similar in function, use, size and utility to the property it replaces. Replacement property needs to be acquired or newly constructed within five years of the disaster. Property must be substantially damaged, which is defined as physical damage amount to 50% of the value of the property before the disaster.